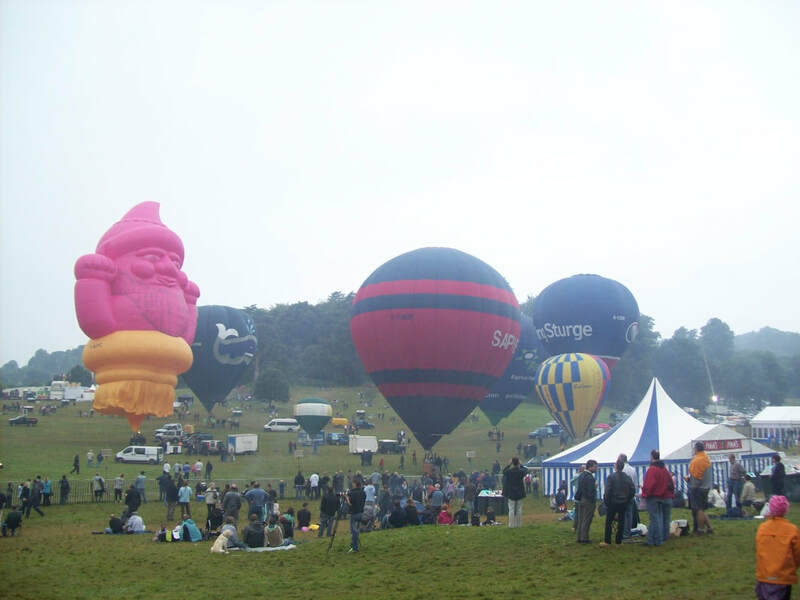 After the amazing weather of 2009 and having six flyable slots, everybody was hoping for a repeat performance in 2010. 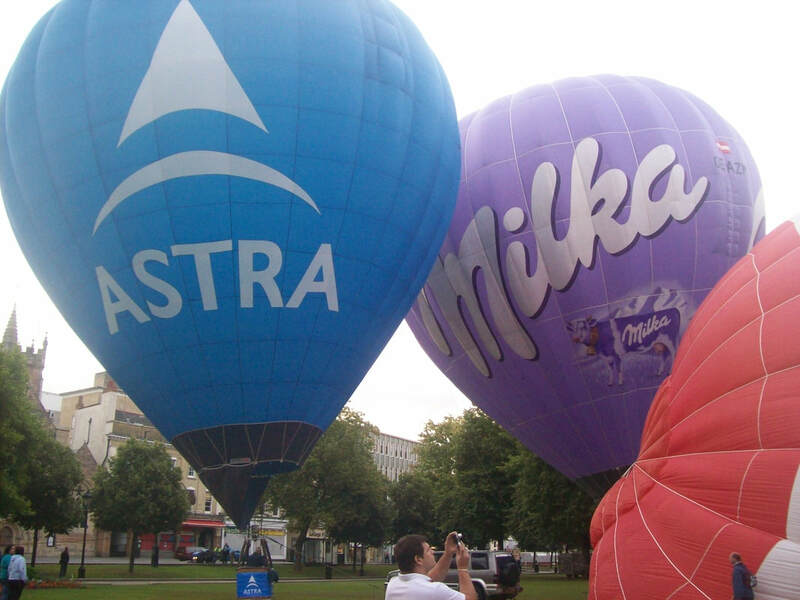 Astra were title sponsors, who already had a Z-105, G-OSAT built by Cameron Balloons in 2004. 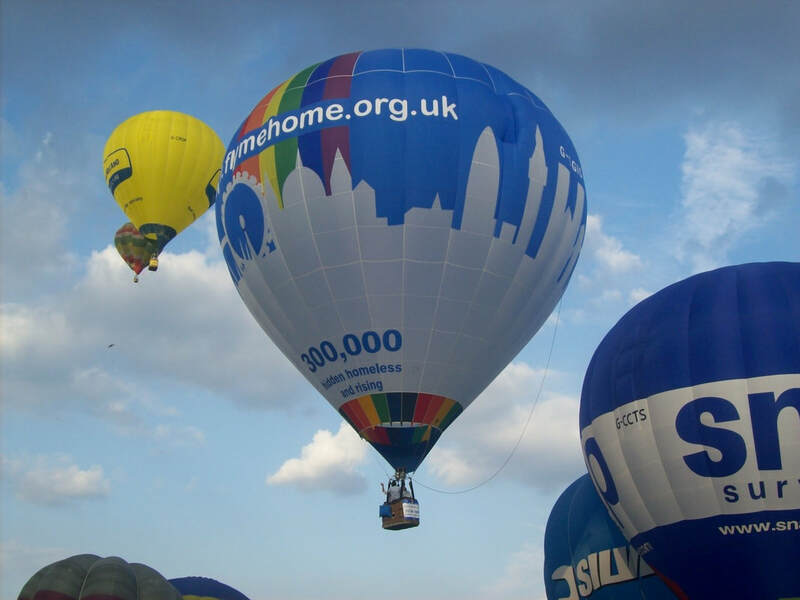 We saw a slight decline in the number of entries in 2010 and 2011 due to the economy, but some impressive balloons were still booked to attend. 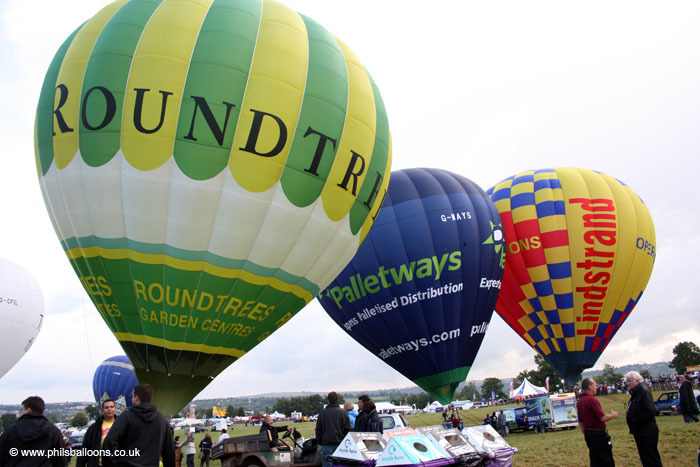 The Palletways contract started up this year, which saw pallet delivery and collection company invest in two new hot air balloons that were operated by Lindstrand Media. Slick the Palletways Dragon registered G-PLLT was accompanied by 105 G-WAYS, which would become regulars to attend Bristol and other UK events in the coming years. 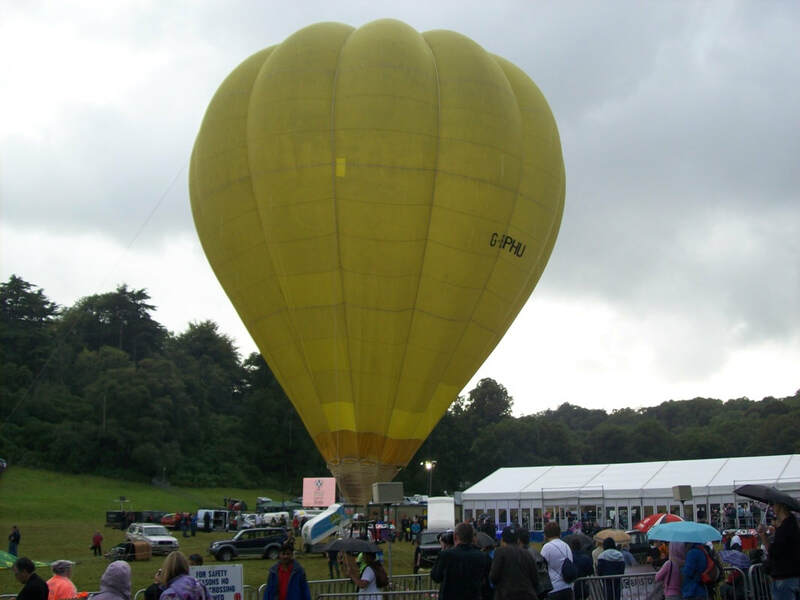 A few months before the event they inflated Slick at Ashton Court in front of the mansion house, which was seen in local newspapers at the time. 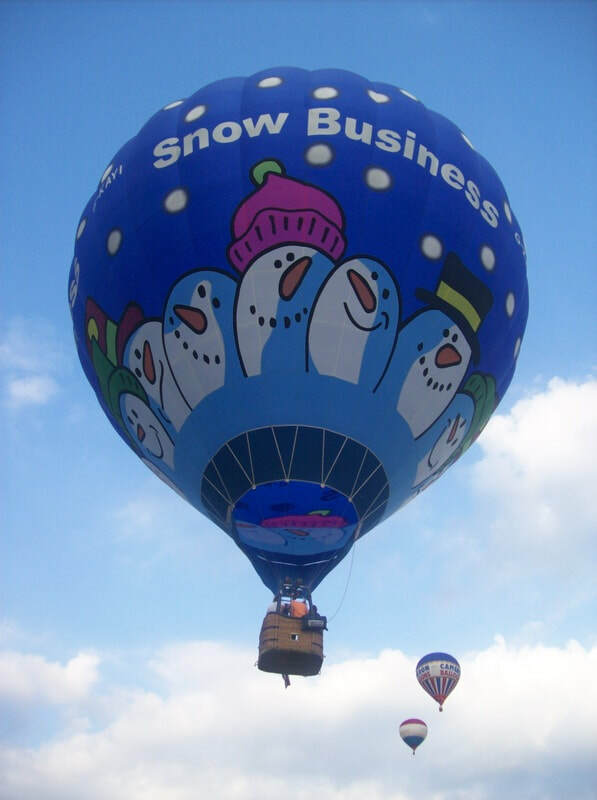 A second new special shape also built by Lindstrand was the Superbike, commissioned by George White Ltd. It’s one of the largest hot air balloons ever to attend since 1979 sitting a huge 37 metres high and 46 metres wide. 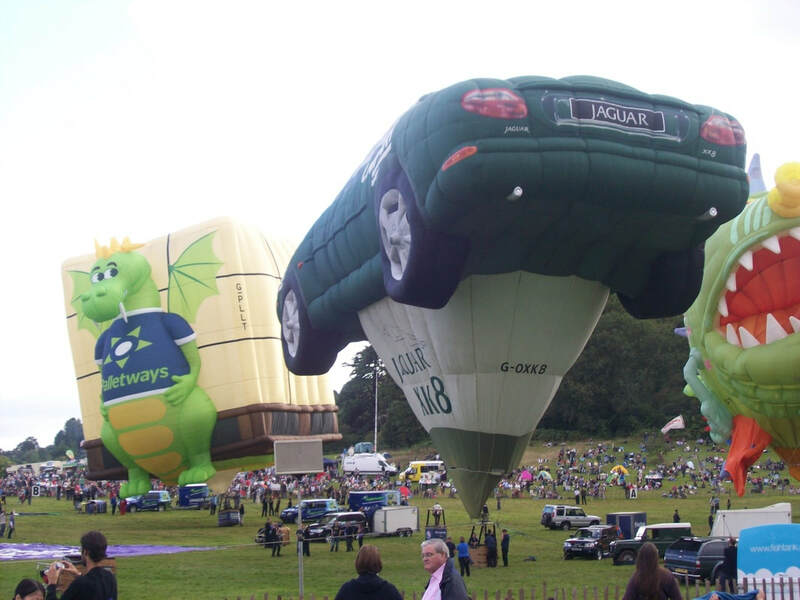 But Lindstrand Media weren’t the only ones attending in 2010 with new shapes. 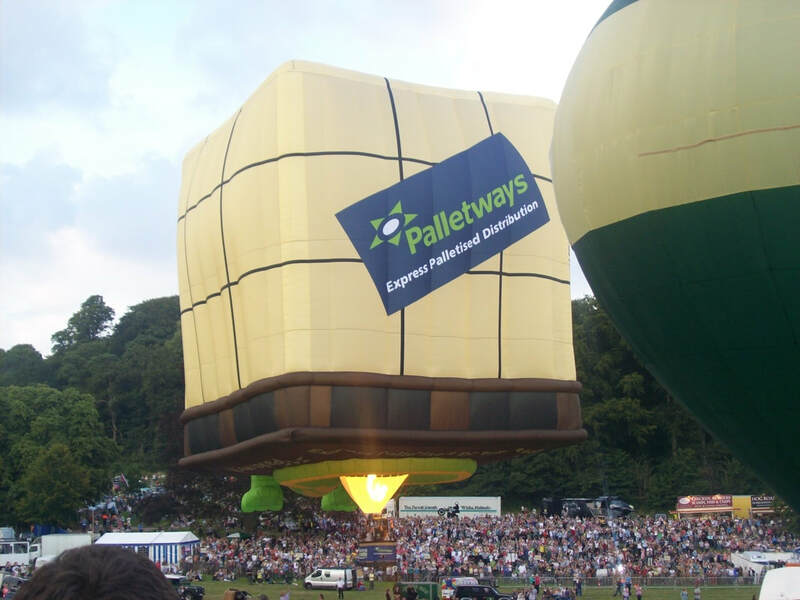 Exclusive Ballooning were operating a new Kubicek envelope from the Czech Republic advertising Rowntree’s randoms sweets as part of their nationwide campaign. 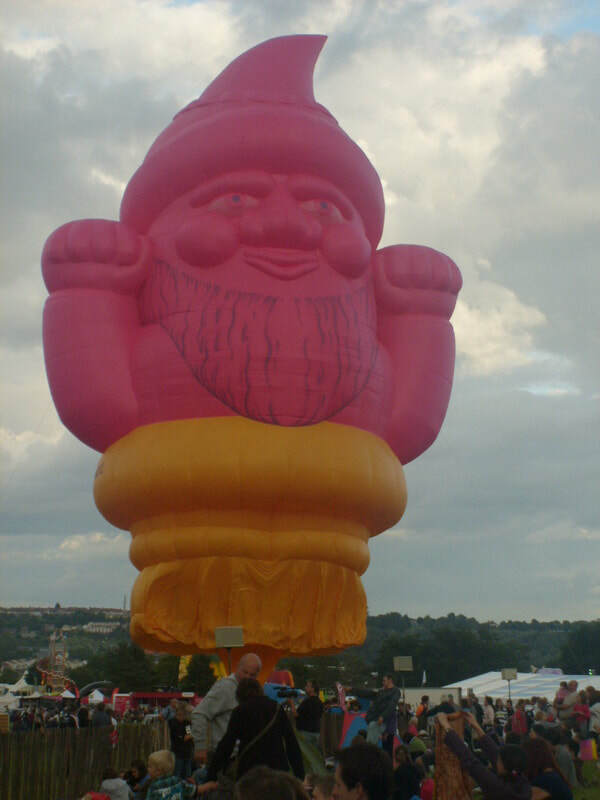 The brightly coloured ‘foamy gnome’ not only appeared in Bristol, but next to London bridge standing 30.5 metres tall. 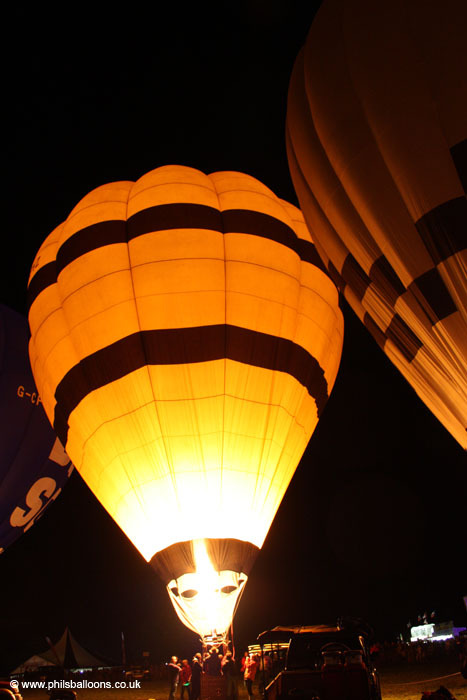 This was Exclusive Ballooning’s 50th hot air balloon to date. 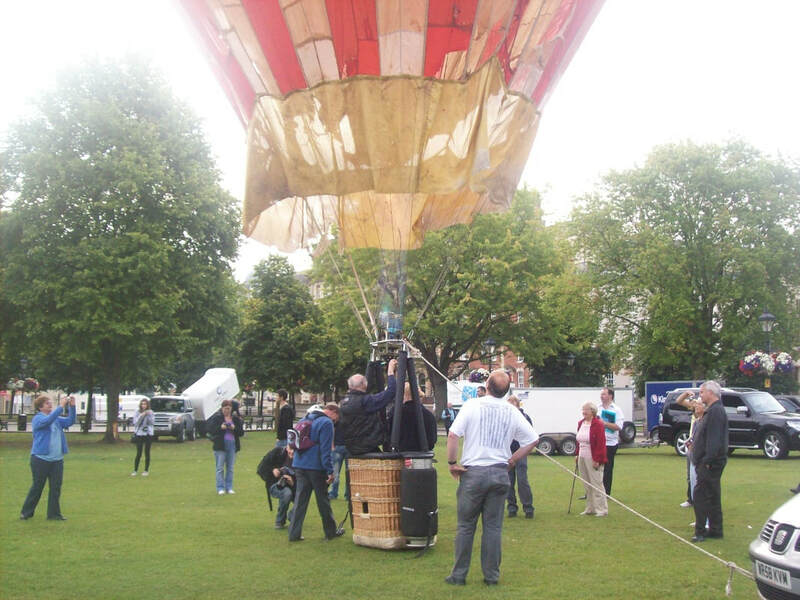 ​The 2010 press launch was held at College Green with around ten balloons taking part. 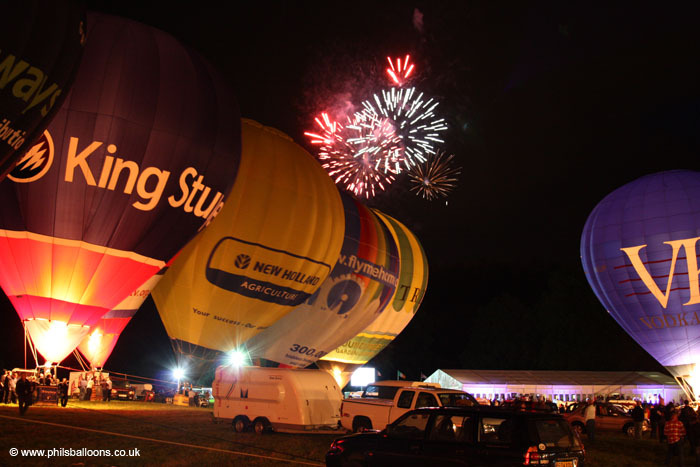 Title sponsors Astra took centre stage as the central location was packed with balloons. Many people making their way to work stopped to watch this spectacle and soon enough the balloons started taking to the air. Milka particularly stood out, built by Kubicek in 2001. Notice the ‘OE’ registration which is Austria. Don Cameron was left tethering the Bristol Belle and then the wait for Thursday began. Weather was not on our side for the first ascent, so had to be cancelled. 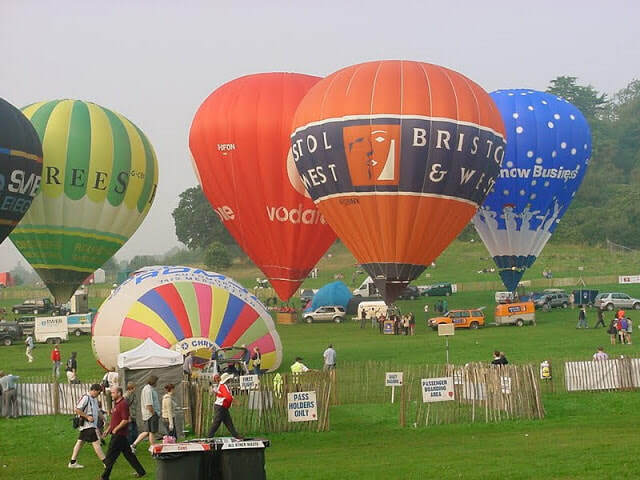 Bristol Balloons were led out during the whole tether hoping for the weather to change, but all free flying was black flagged by the flying committee. 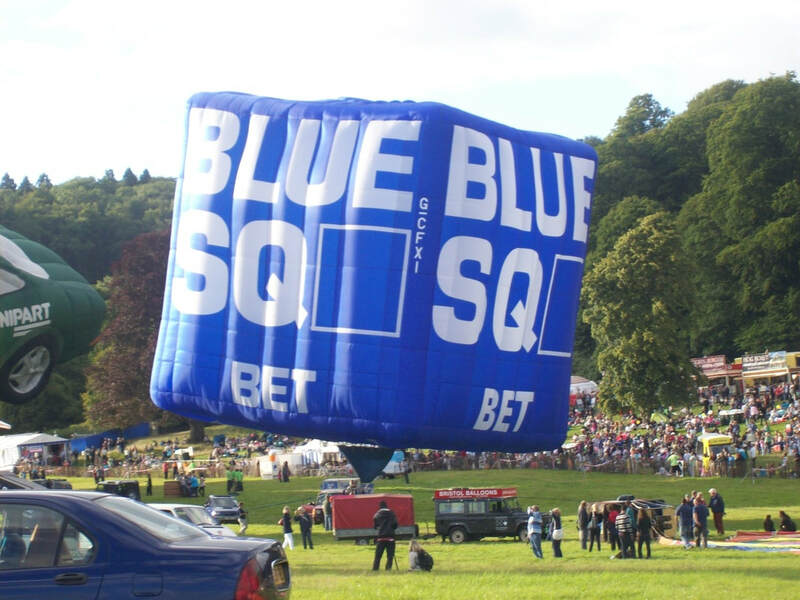 Exclusive Ballooning brought their new G-NOMZ special shape out the bag for the first time at the fiesta, also with Blue Square which we saw in 2009. Lindstrand Media were out in force showing off their Palletways Dragon and George White Superbike for the crowds too, gaining much media attention from the TV cameras. 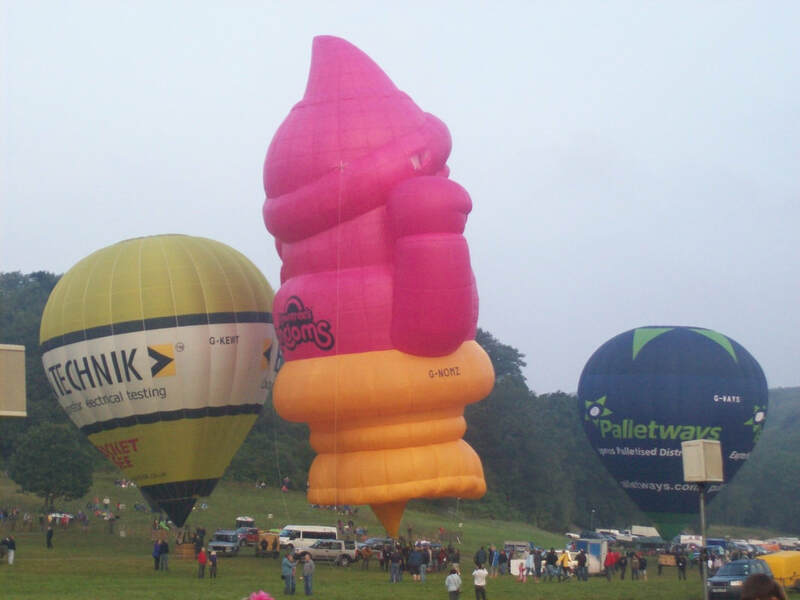 Well, it is one of the biggest hot air balloons in the world, after all! ​After three years of sitting in its bag the retro Stowells wine box was inflated by Flying Enterprises. 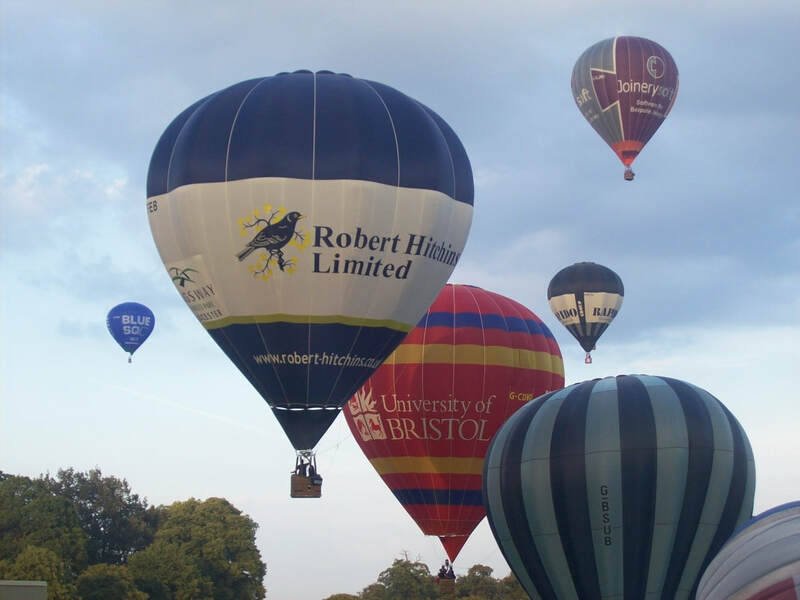 And of course, the Airship & Balloon Company (ABC) were back at the fiesta with their two special shapes, both attending for the best part of a decade. 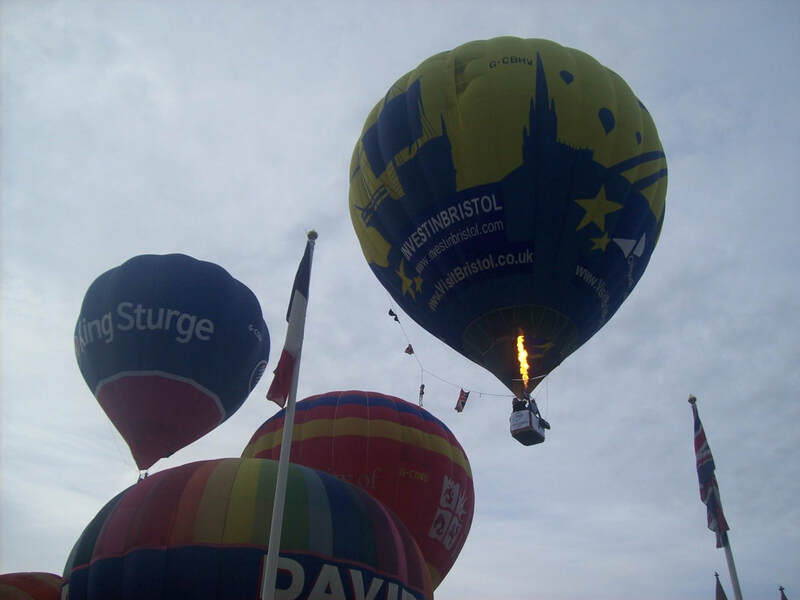 G-BULB and the Bristol Belle were also tethered in the arena. The night glow went ahead as planned, followed by the usual firework display. 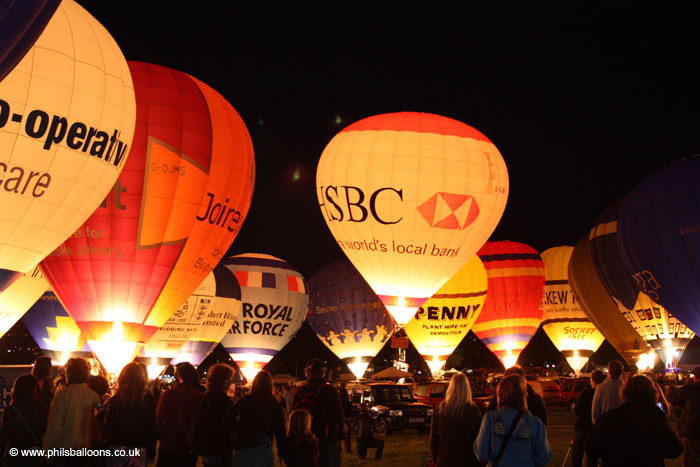 Balloons such as HSBC, King Sturge, Royal Air Force, Joinerysoft, Penny and Sapper took part. ​Although cloudy, winds were light enough for a launch on Friday morning. 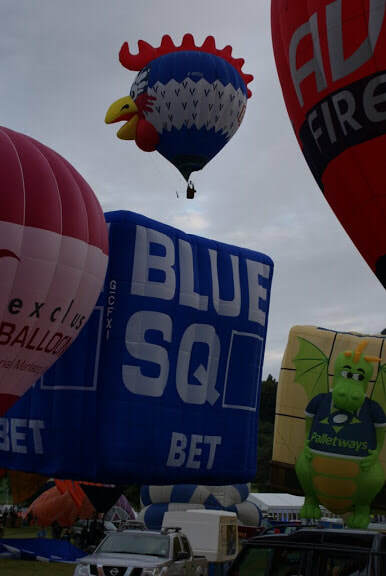 88 balloons took off including the Palletways Dragon and Cockerel. This left ABC’s Monster, Exclusive Ballooning and George White tethered at the marquee end of the arena. Churchill tethered throughout but was pulled down at the end. 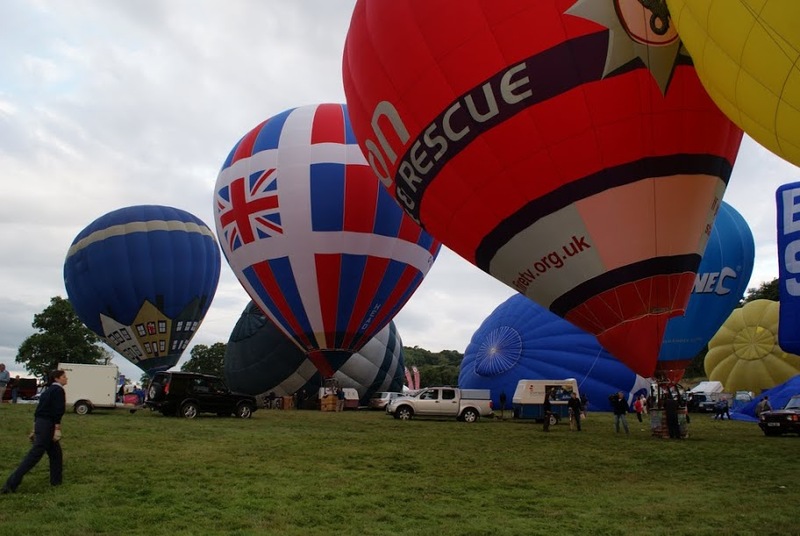 The next two mass ascents were unfortunately cancelled due to some bad weather not suitable or safe for ballooning. There were still things going on in the arena - mainly parachute displays. ​Still too windy to fly, some teams attempted to tether early evening. 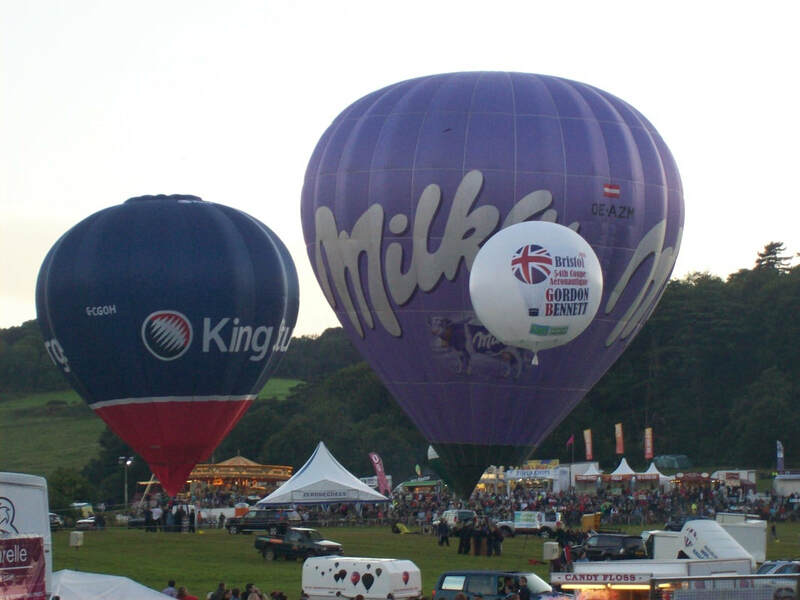 The co-operative funeral care balloon, Milka, Palletways, Roundtrees, King Sturge, Lindstrand demo, Avon Fire & Rescue and G-BPHU were inflated near the marquee. It was a bit rainy but a good effort to put on a show for the Saturday crowds. G-CBWK was entertaining the public down the bottom of the arena. 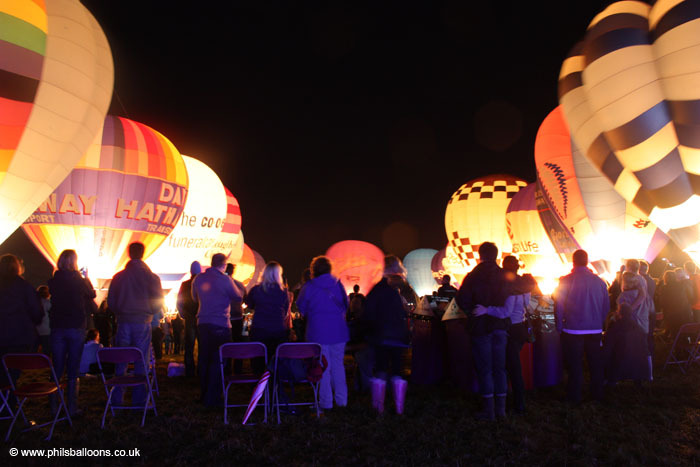 ​Thankfully the night glow went ahead much to the delight of the crowds awaiting to see this marvellous spectacle. 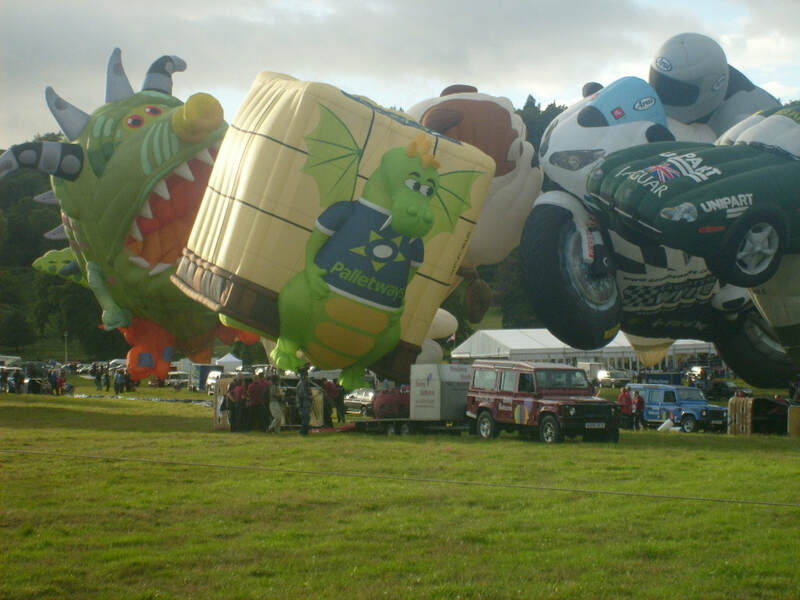 Fowlers, Kewtech, Scottish life and Book people, which was another Exclusive Ballooning envelope, were some that took part. As you can see from the photos, fog surrounded Ashton Court first thing on Sunday, dramatically reducing the visibility. The foamy gnome tethered with a few round balloons, but very few people had come up to see the balloons due to the fog. An old Lindstrand 21A hopper built in 1994 was one to tether. After all the disappointment about the weather during the last few days, hopes were high that the final ascent would get the green light from the flying committee. 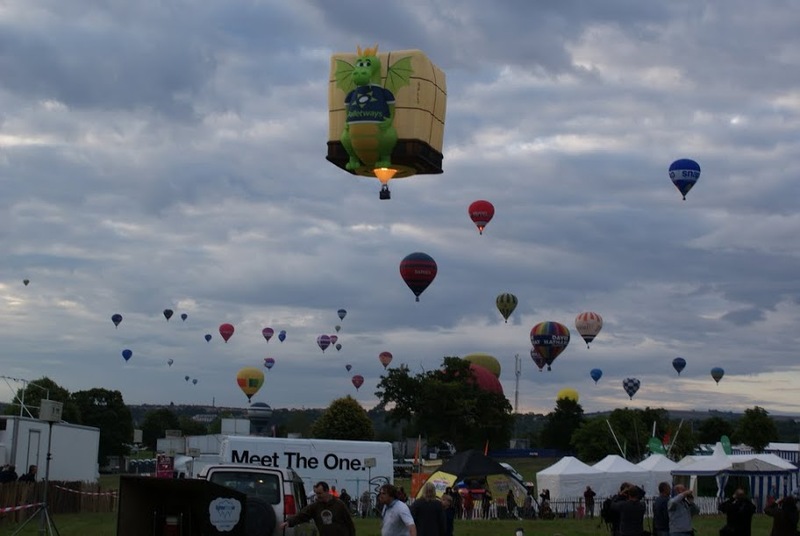 The flight was confirmed and around fifty balloons took off including Lindstrand Media’s Palletways Dragon special shape named Slick. 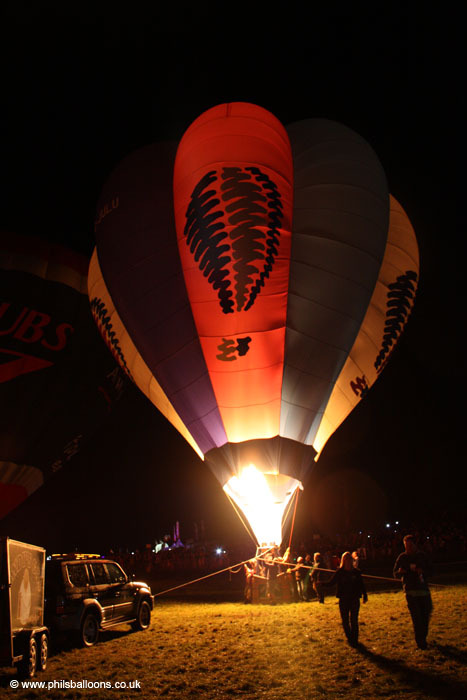 ​Thank you to Ballooning Pictures, Phil’s Balloons, James McDonald and Matt Cleaves for providing photos. If you would like to read more of our fiesta reviews from 2004 to 2018, click here.